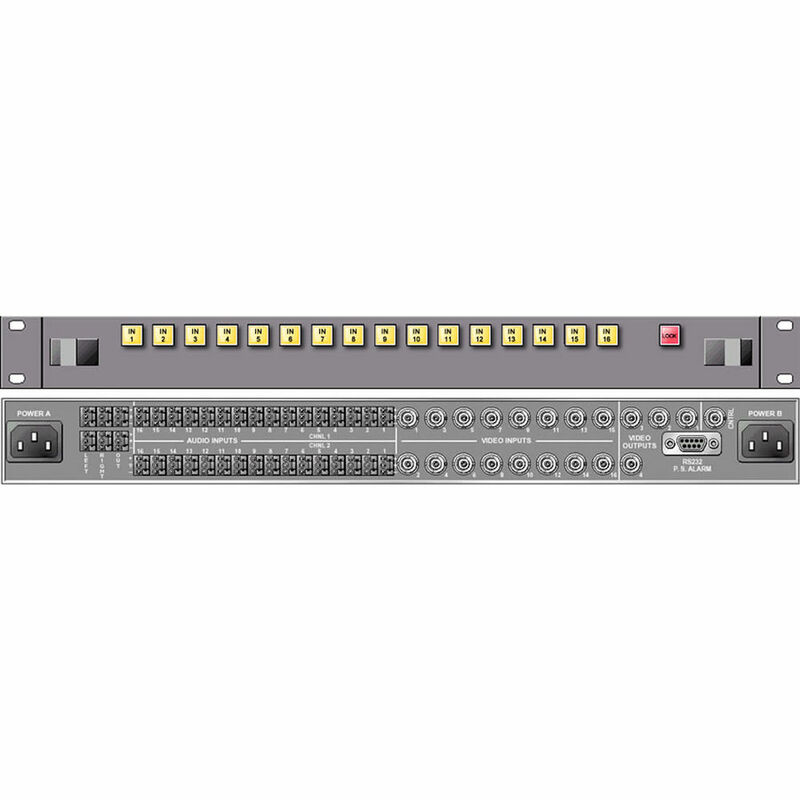 The 16 x 1 Analog Video Routing Switcher from Link Electronics is designed for use in professional video applications. It manages analog video, accepting 16 inputs and providing 1 output. 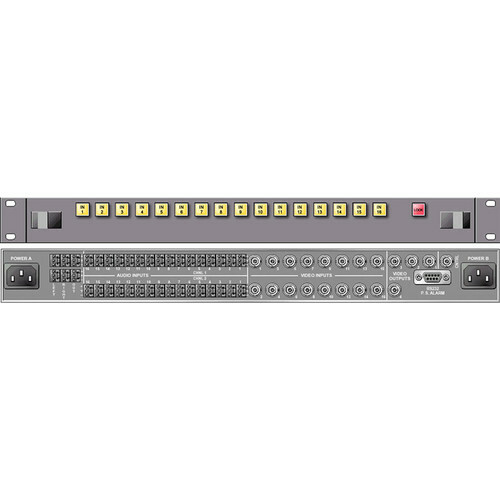 The switcher features a modular design that offers flexibility to the users by adding other modules later to the unit, allowing for expansion and upgrade functionality. Controls can be managed via the pushbuttons of the front panel interface or with remote control panels connected via Ethernet or RS-232. Panels can be configured to control a single output bus or the entire matrix. The control panel supplied with this switcher is shipped installed in front of the main electronics chassis, but can be removed in the field and installed in a separately available remote-mounting kit. The unit's power supply is accessible from the front of the unit and can be easily removed or installed as needed. A redundant power supply is also separately available. It is designed for placement in any standard 19" rack.